Mariano Arini (Cremonese) wins a free kick in the defensive half. Foul by Luca Strizzolo (Cittadella). Attempt missed. Mirko Carretta (Cremonese) header from the right side of the six yard box is close, but misses to the right. Assisted by Gaetano Castrovilli with a cross. Match ends, Cremonese 0, Cittadella 0. Second Half ends, Cremonese 0, Cittadella 0. Substitution, Cremonese. Reda Boultam replaces Xian Emmers. Substitution, Cittadella. Simone Pasa replaces Simone Branca. Attempt blocked. Francesco Migliore (Cremonese) left footed shot from outside the box is blocked. Corner, Cremonese. Conceded by Alberto Paleari. Attempt saved. Mirko Carretta (Cremonese) right footed shot from the centre of the box is saved in the top centre of the goal. Assisted by Xian Emmers with a cross. Foul by Simone Branca (Cittadella). Claiton (Cremonese) wins a free kick on the right wing. Gaetano Castrovilli (Cremonese) wins a free kick in the defensive half. Foul by Gaetano Castrovilli (Cremonese). Andrea Schenetti (Cittadella) wins a free kick on the right wing. Offside, Cittadella. Davide Adorni tries a through ball, but Stefano Scappini is caught offside. Offside, Cittadella. Manuel Iori tries a through ball, but Andrea Schenetti is caught offside. Attempt blocked. Gaetano Castrovilli (Cremonese) right footed shot from outside the box is blocked. Attempt missed. Manuel Iori (Cittadella) right footed shot from outside the box is close, but misses to the right from a direct free kick. Claiton (Cremonese) is shown the yellow card for hand ball. Hand ball by Claiton (Cremonese). Substitution, Cittadella. Nicholas Siega replaces Andrea Settembrini. Substitution, Cittadella. Stefano Scappini replaces Giuseppe Panico. Tommaso Cancellotti (Cittadella) wins a free kick in the defensive half. Foul by Francesco Migliore (Cremonese). Substitution, Cremonese. Mirko Carretta replaces Antonio Piccolo. Offside, Cittadella. Manuel Iori tries a through ball, but Giuseppe Panico is caught offside. Attempt missed. Gaetano Castrovilli (Cremonese) header from the centre of the box misses to the right. Assisted by Francesco Migliore with a cross. Foul by Tommaso Cancellotti (Cittadella). Daniele Croce (Cremonese) wins a free kick on the left wing. Attempt missed. Luca Strizzolo (Cittadella) header from the centre of the box misses to the left. Assisted by Amedeo Benedetti with a cross. Agostino Camigliano (Cittadella) is shown the yellow card for a bad foul. Foul by Agostino Camigliano (Cittadella). Antonio Piccolo (Cremonese) wins a free kick on the right wing. Corner, Cittadella. Conceded by Mariano Arini. Attempt blocked. Andrea Schenetti (Cittadella) right footed shot from the centre of the box is blocked. Assisted by Manuel Iori. Attempt missed. Andrea Settembrini (Cittadella) right footed shot from outside the box misses to the left following a corner. Corner, Cittadella. Conceded by Nicola Ravaglia. Attempt saved. Simone Branca (Cittadella) left footed shot from the left side of the box is saved in the top centre of the goal. Assisted by Andrea Schenetti. Offside, Cittadella. Davide Adorni tries a through ball, but Giuseppe Panico is caught offside. Antonio Piccolo (Cremonese) wins a free kick in the defensive half. Corner, Cittadella. Conceded by Emanuele Terranova. Attempt blocked. Andrea Schenetti (Cittadella) right footed shot from the right side of the box is blocked. Assisted by Tommaso Cancellotti. Corner, Cittadella. Conceded by Vasile Mogos. Mariano Arini (Cremonese) is shown the yellow card for a bad foul. Manuel Iori (Cittadella) wins a free kick in the defensive half. Foul by Mariano Arini (Cremonese). Manuel Iori (Cittadella) is shown the yellow card for a bad foul. Foul by Manuel Iori (Cittadella). Attempt saved. Gaetano Castrovilli (Cremonese) header from the centre of the box is saved in the top centre of the goal. Assisted by Francesco Migliore with a cross. Mariano Arini (Cremonese) wins a free kick in the attacking half. Attempt missed. 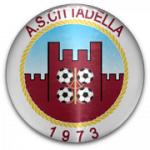 Giuseppe Panico (Cittadella) header from the centre of the box misses to the left. Assisted by Andrea Schenetti with a cross following a corner. Xian Emmers (Cremonese) is shown the yellow card for a bad foul. Foul by Xian Emmers (Cremonese). Andrea Schenetti (Cittadella) wins a free kick on the left wing. Substitution, Cremonese. Daniele Croce replaces Leandro Greco. Foul by Amedeo Benedetti (Cittadella). Attempt blocked. Andrea Schenetti (Cittadella) left footed shot from the right side of the box is blocked. Assisted by Andrea Settembrini. Giuseppe Panico (Cittadella) wins a free kick on the right wing. Foul by Leandro Greco (Cremonese). Andrea Schenetti (Cittadella) wins a free kick in the attacking half. Attempt missed. Andrea Settembrini (Cittadella) header from the centre of the box is high and wide to the left. Assisted by Amedeo Benedetti with a cross. Attempt missed. Vasile Mogos (Cremonese) left footed shot from outside the box misses to the left following a set piece situation. Attempt blocked. Paulinho (Cremonese) right footed shot from the centre of the box is blocked. Corner, Cremonese. Conceded by Amedeo Benedetti. 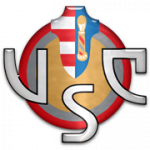 Second Half begins Cremonese 0, Cittadella 0. First Half ends, Cremonese 0, Cittadella 0. Francesco Migliore (Cremonese) wins a free kick on the left wing. Foul by Andrea Settembrini (Cittadella). Offside, Cittadella. Amedeo Benedetti tries a through ball, but Giuseppe Panico is caught offside. Attempt saved. Gaetano Castrovilli (Cremonese) right footed shot from more than 35 yards is saved in the top centre of the goal. Offside, Cremonese. Francesco Migliore tries a through ball, but Mariano Arini is caught offside. Attempt saved. Andrea Settembrini (Cittadella) header from the centre of the box is saved in the centre of the goal. Assisted by Amedeo Benedetti with a cross. Attempt missed. Gaetano Castrovilli (Cremonese) right footed shot from long range on the left misses to the right. Assisted by Mariano Arini. Corner, Cremonese. Conceded by Giuseppe Panico. Corner, Cremonese. Conceded by Manuel Iori. Francesco Migliore (Cremonese) wins a free kick in the defensive half. Giuseppe Panico (Cittadella) wins a free kick in the defensive half. Attempt blocked. Antonio Piccolo (Cremonese) left footed shot from the centre of the box is blocked. Attempt blocked. Antonio Piccolo (Cremonese) left footed shot from the right side of the box is blocked. Giuseppe Panico (Cittadella) wins a free kick on the left wing. Giuseppe Panico (Cittadella) wins a free kick in the attacking half. Attempt missed. Agostino Camigliano (Cittadella) header from the centre of the box misses to the right. Assisted by Amedeo Benedetti with a cross following a corner. 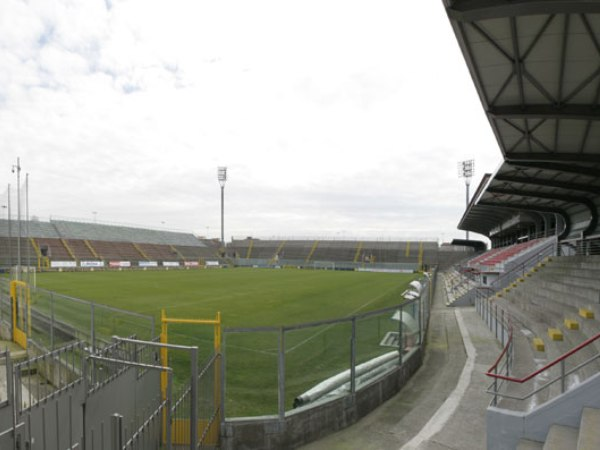 Delay in match Tommaso Cancellotti (Cittadella) because of an injury. Dangerous play by Paulinho (Cremonese). Vasile Mogos (Cremonese) wins a free kick in the defensive half. Luca Strizzolo (Cittadella) wins a free kick in the defensive half.